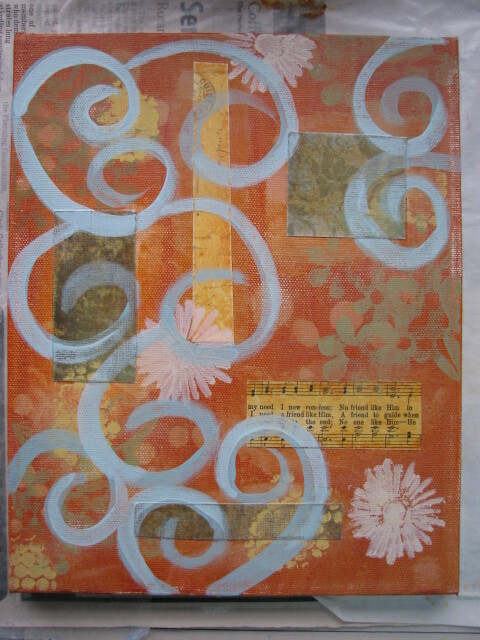 We have begun our second week of Organic Backgrounds with Paulette Insall. Her latest video showed us many different ways of adding layers – using items like stencils, stamps and your paintbrush! Below is my first canvas with these new techniques – isn’t this fun? This entry was posted in 2008 and tagged collage. Bookmark the permalink. This is GORGEOUS!!!! I may have to check out that class – I seem to be addicted to online classes, and am always looking for more.